This versatile settee will look great as an accent piece in almost any room in your home. 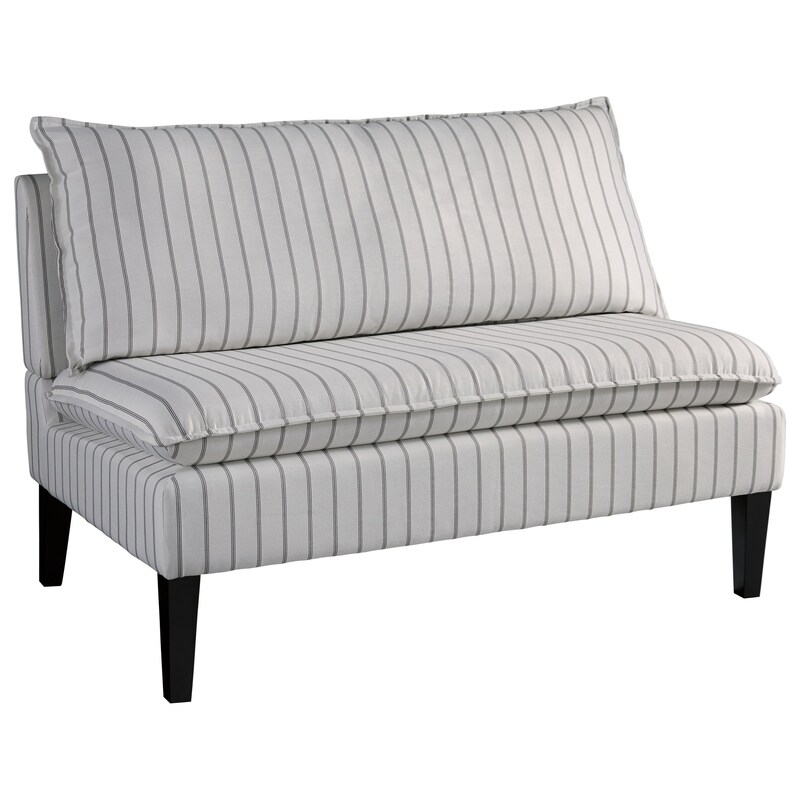 Upholstered in a cream fabric with a gray pinstripe design, this piece boats a contemporary appeal, while the pillow seat back and pillowtop seat cushion offer the perfect amount of comfort. The Arrowrock Pinstripe Accent Bench/Settee by Signature Design by Ashley at Household Furniture in the El Paso & Horizon City, TX area. Product availability may vary. Contact us for the most current availability on this product. Browse other items in the Arrowrock collection from Household Furniture in the El Paso & Horizon City, TX area.